Ligation (tying off an offending vein) is used for specific secondary veins in the leg, after confirmation of backflow, or reflux, by ultrasound. Ligation is used for branches from the larger veins, perforator veins, or in combination with phlebectomy to prevent bleeding from a large branch during removal. 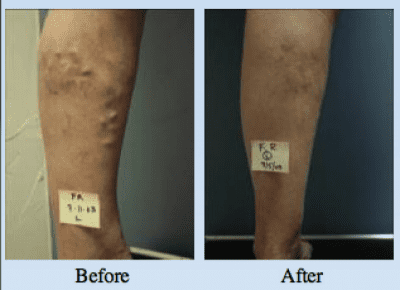 Vein ligations can be done under local anesthesia, require no “down time”, and are very effective when used appropriately.